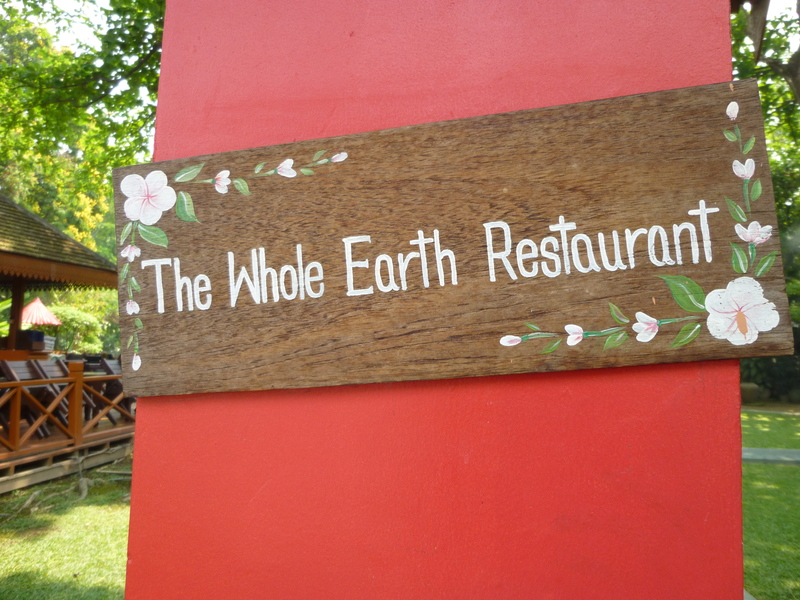 In Chiang Mai, we found a treat of a restaurant, and we liked it so much we went back again — Whole Earth Restaurant! 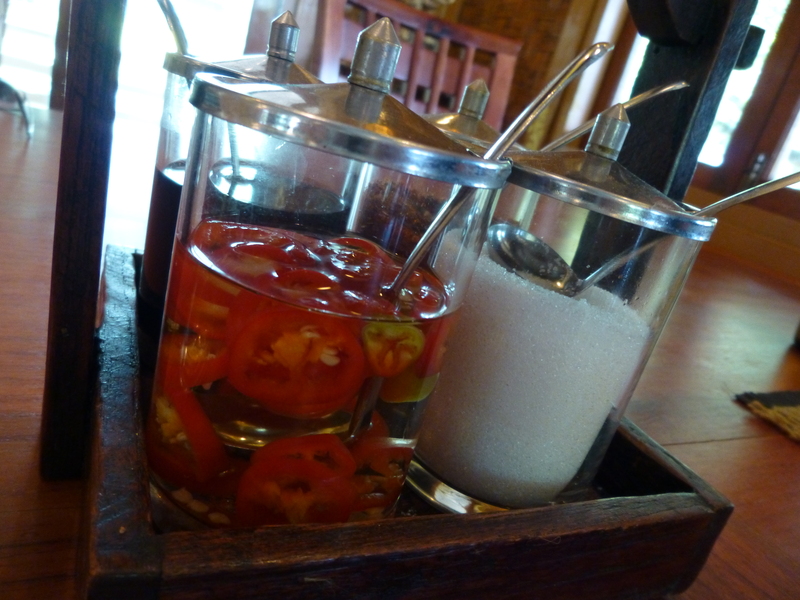 Whole Earth offers an extensive vegetarian menu (along with omnivorous options), and when they say vegetarian, they mean it — no sneaky fish sauce or shrimp paste anywhere to be seen. 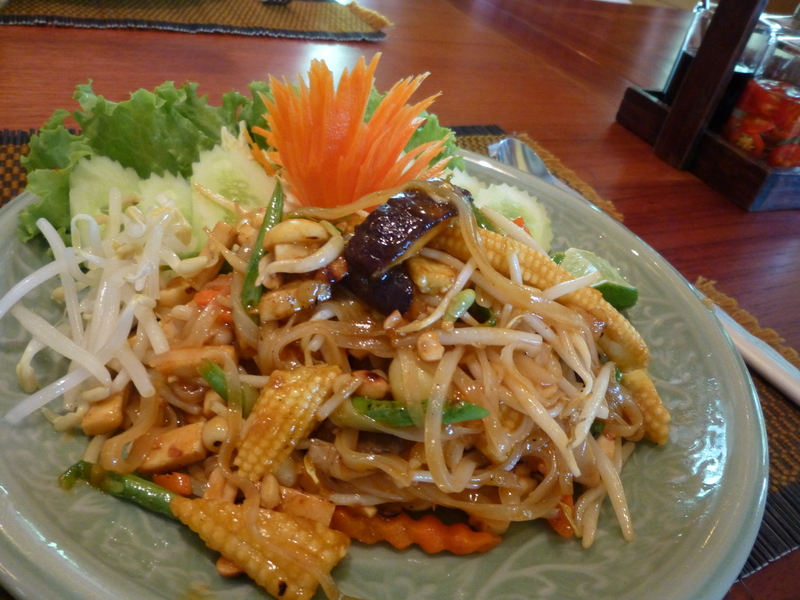 Our first delicious dish was Vegetarian Pad Thai — noodles, gorgeous mushrooms, tofu, bean sprouts, carrots, green beans, peanuts, chilies, and fresh lime juice. 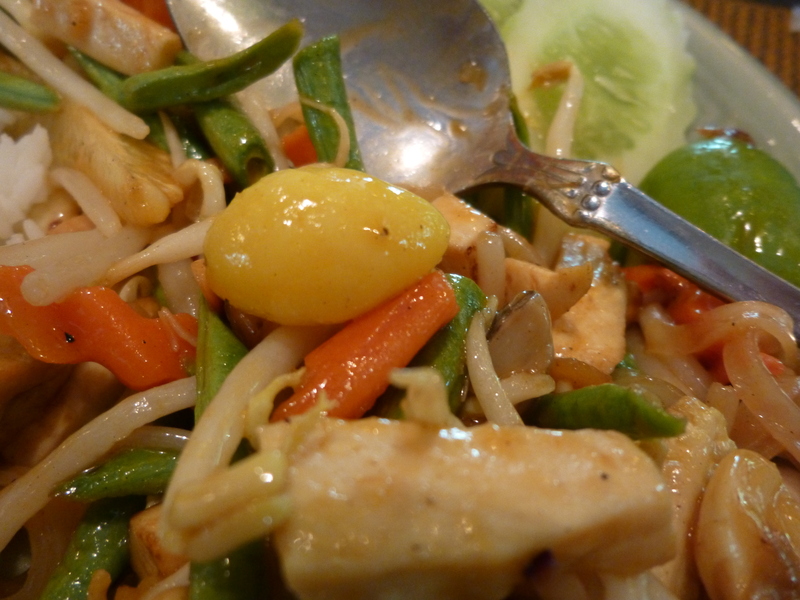 And my favourite new vegetable discovery — a lotus seed! 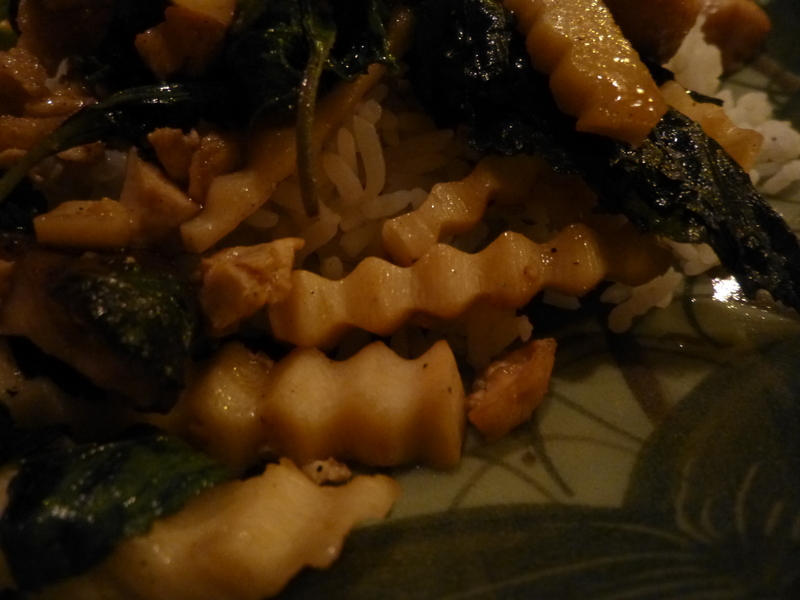 It was beany and creamy and delicious! 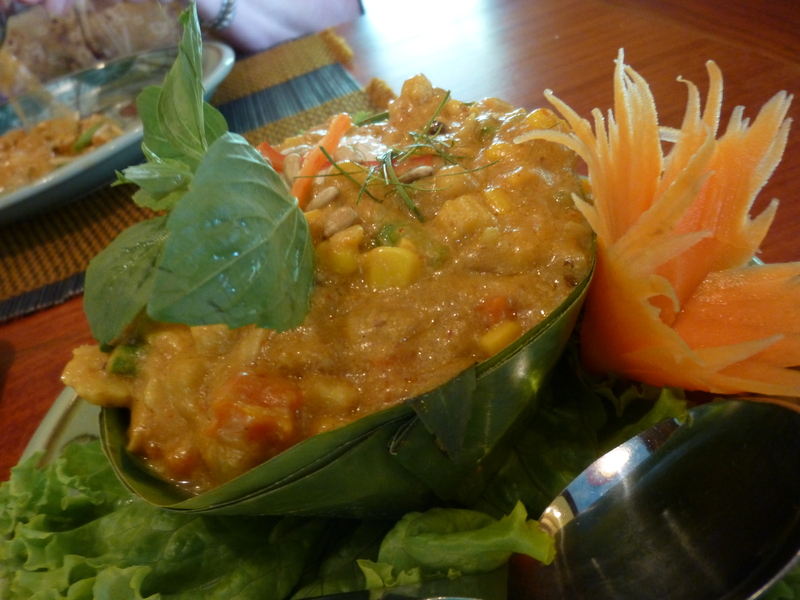 Our second delicious dish was so decadent — Vegetarian Steamed Red Curry Served in a Banana Leaf Bowl — we had it over steamed rice, and it was so rich from extra coconut cream on top. 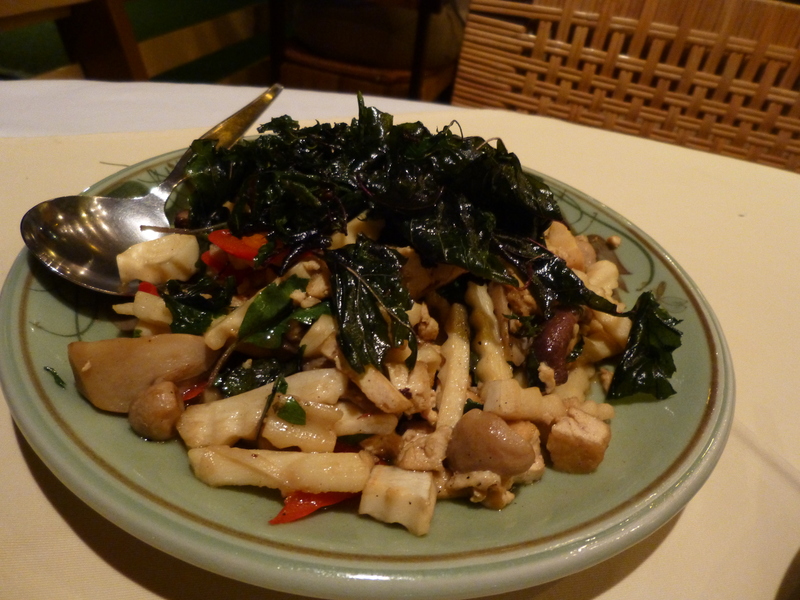 And our third dish — something I’ve never seen before and just had to try — Sautéed Heart of Coconut with Basil Leaves — a gorgeous stir-fry of coconut hearts, mushrooms, chilies, and fried basil leaves! 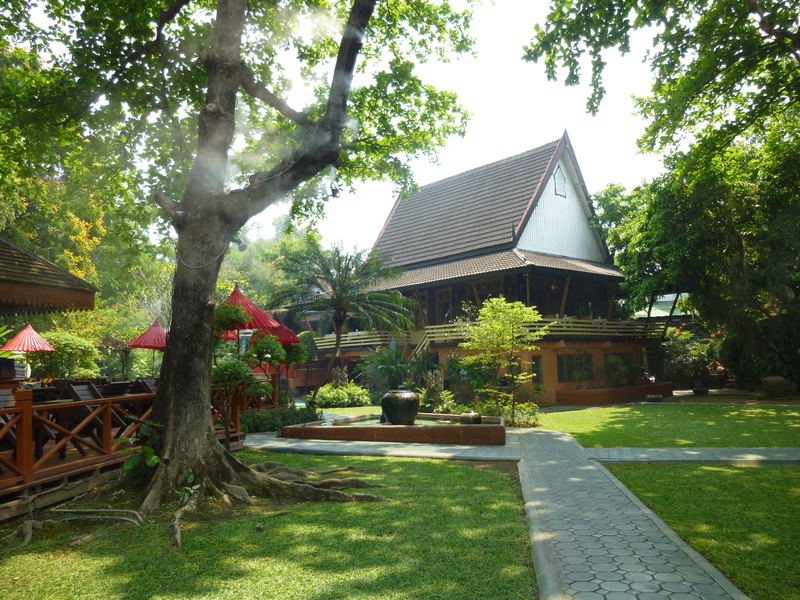 What a great way to say goodbye to Chiang Mai — and onward to our beachy holiday! 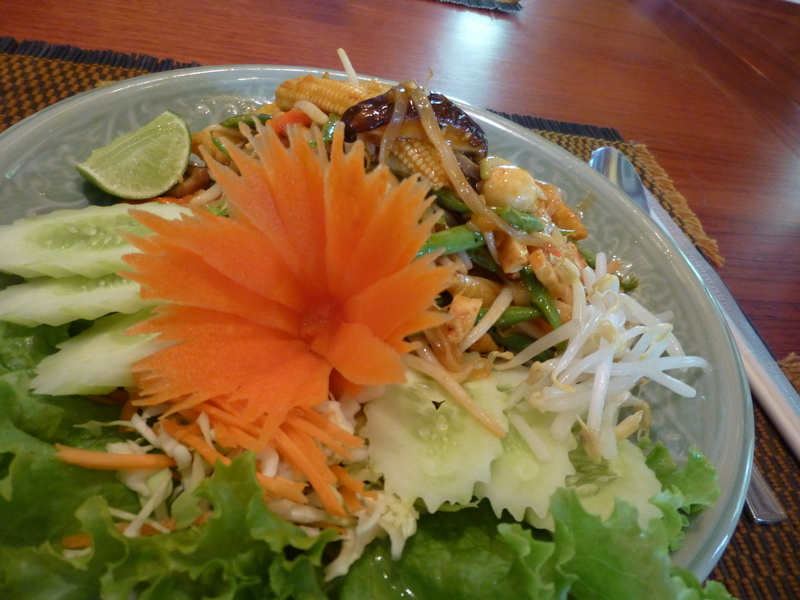 I have been hearing great things about 3D printers not about food, though. Would a 3D printer give me these fantastic recipes? If they taste even half as good as they look, I would swoon!